Paramount Ranch's Western Town in Agoura Hills, which was recently destroyed by the Woolsey Fire, could get rebuilt through a fundraising effort announced Friday. The Santa Monica Mountains Fund, in cooperation with the National Park Service, is launching "The Paramount Project," a campaign to rebuild the 90-year old film set, which has been used in many famous film and television productions, including "The Adventures of Marco Polo" (1938), the 1950s TV show "The Cisco Kid," the 1990s show "Dr. Quinn, Medicine Woman" and the current HBO show "Westworld." "Paramount Ranch is a beloved iconic symbol of the Santa Monica Mountains National Recreation Area, connecting us with our history, our community, our mountains, and our visitors," said Sara Horner, board president of the Santa Monica Mountains Fund. "It captures our unique sense of place." Western Town was destroyed around Nov. 9 as the Woolsey Fire swept through the area on the way to burning at least 98,362 acres and was 69 percent contained as of today, with full containment expected Monday. "In a difficult time like this, we are grateful to have great friends like the Santa Monica Mountains Fund, as well as the many members of the public who have reached out to tell us that they want to be part of Paramount Ranch's next chapter," said David Szymanski, superintendent of Santa Monica Mountains National Recreation Area. "Filmmaking is all about creating and re-creating, and that's what we're going to do at Paramount Ranch." In 1927, Paramount Pictures purchased 2,700 acres of the old Rancho Las Virgenes, and turned in into a film set that has since been used in an estimated 300 films, television shows and commercials. The current ranch, comprising 765 acres, was purchased by the National Park Service in 1980. It is on the National Register of Historic Places. 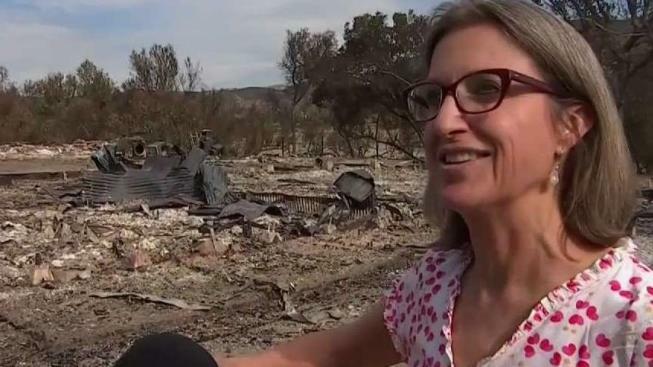 Santa Monica Mountains Fund and the National Park Service said the focus of the campaign is to create a temporary set and then, ultimately, a number of permanent structures that will retain the rustic features of the old set, but with more fire-resistant materials.